The skilled and pampering Estheticians, Certified Laser Technicians and Hair Stylists at Spa Greystone are devoted to showing you a new level of relaxation and vitality with our rejuvenating medi-spa treatments and laser services. We offer a complete range of skin care, body treatments, laser treatments and beauty services that renew the body and relax the mind. Visit our Birmingham-Hoover, Alabama day and laser spa to escape the stresses of everyday life with salutary treatments and spa packages in the luxurious atmosphere of Greystone Cosmetic Center. Experience the ultimate pampering with a soothing massage to promote circulation and improved muscle tone. See how Spa Greystone's advanced medical lasers safely remove unwanted hair, resurface facial skin and get rid of unsightly spider veins with minimally-invasive procedures. Visit our premier medical spa in Alabama close to Birmingham and Hoover for cellulite treatments, facials, chemical peels, microdermabrasion, dermaplaning, CoolSculpting and much more. Remarkable results for all skin types! The Estheticians at Spa Greystone can help to give your skin a youthful glow with pampering facials, chemical peels, microdermabrasion, dermaplaning and some of the world's best skin care lines. Our rejuvenating treatments for the skin are designed to take years off your face and revitalize your skin's natural beauty. Nothing is more soothing than a stress-relieving massage at Spa Greystone to improve circulation and muscle tone. Endermologie treatments stimulate the skin and reactivate cellular activity to help your body expel toxins and abnormal water buildup while stretching the connective fibers. We also offer waxing, back facials, Fantasy Tan and hydrotherapy. Our wet room features a luxury 7 jet Vichy shower to give you a whole body water massage. The Certified Laser Technicians at Spa Greystone can help you bring a healthy glow to your skin, give your skin a more youthful look and get rid of unsightly spider veins. Our laser and skin professionals in Birmingham, Alabama offer a full range of laser procedures to treat a wide variety of skin conditions and imperfections. Our full service day spa caters to the unique style and personality of each spa guest. Visit the Hair Salon at Spa Greystone for the ultimate in color and styling. Show off your beautiful nails with a signature manicure and pedicure at our Nail Spa. Capture the perfect look for your eyelashes and eyebrows with Latisse Eyelash Treatment, eyelash extensions, brow and lash tinting and make-up applications. Many people are physically fit and able to maintain a stable weight, but have lumps, bumps and bulges that won't to go away no matter how much they diet or exercise. A revolutionary new procedure called CoolSculpting is now available to target, cool and eliminate fat cells underneath the skin. 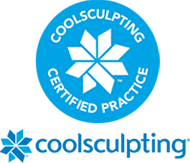 CoolSculpting, the World's No. 1 non-invasive fat removal treatment, is an FDA-approved breakthrough that induces a noticeable, natural-looking reduction in fat bulges. Treat yourself to the ultimate in luxury with a Spa Packages at our day spa in Birmingham, Alabama. Featuring massage, hair services, manicures, pedicures, facials and much more, prepare to be pampered at an oasis for true relaxation. Check our website often for seasonal offerings and special occasion spa packages at Spa Greystone. Questions About Medi Spa Services? Please contact Spa Greystone today to learn more about the premier skin care, body care, laser treatments and beauty services at our Birmingham, Alabama medical spa.